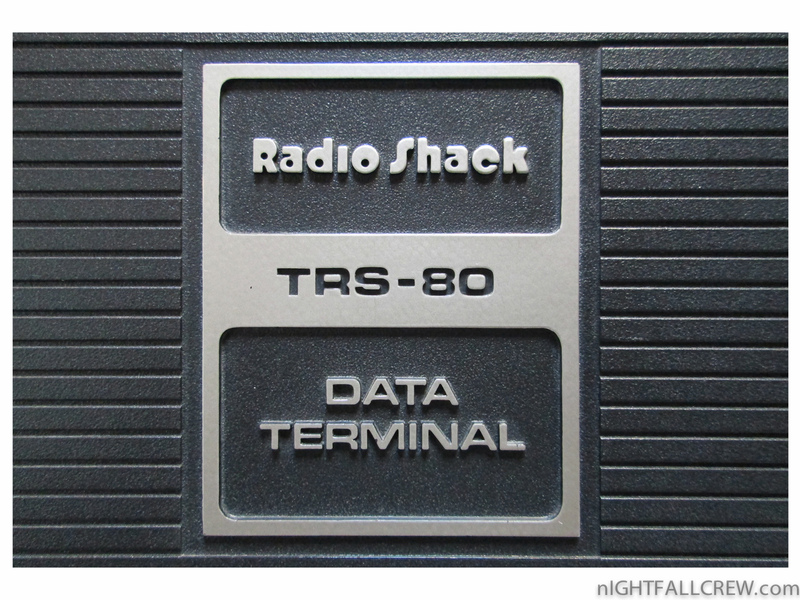 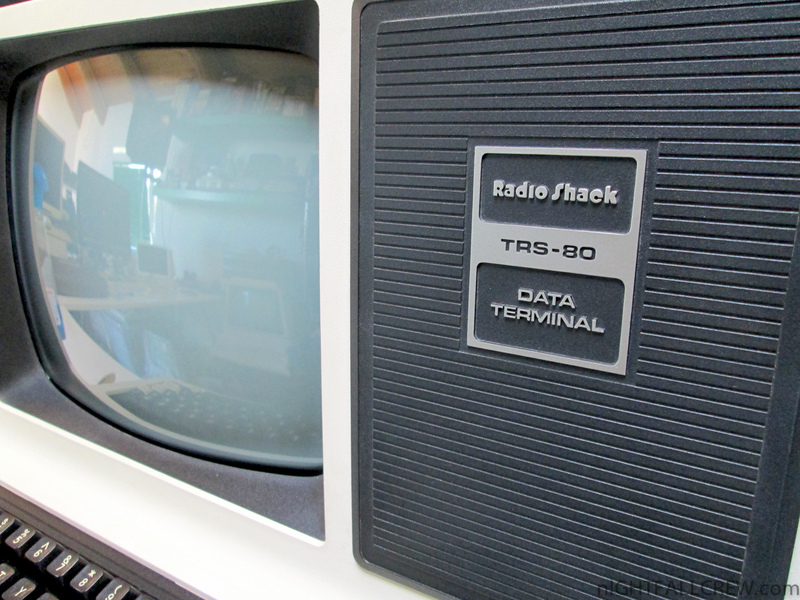 The Tandy Radio Shack TRS-80 DT-1 is a video terminal. 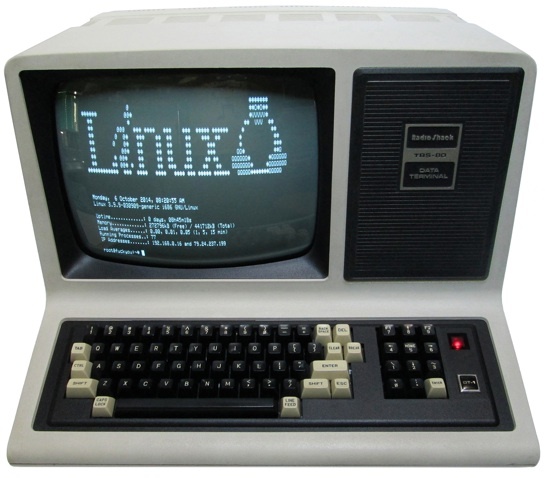 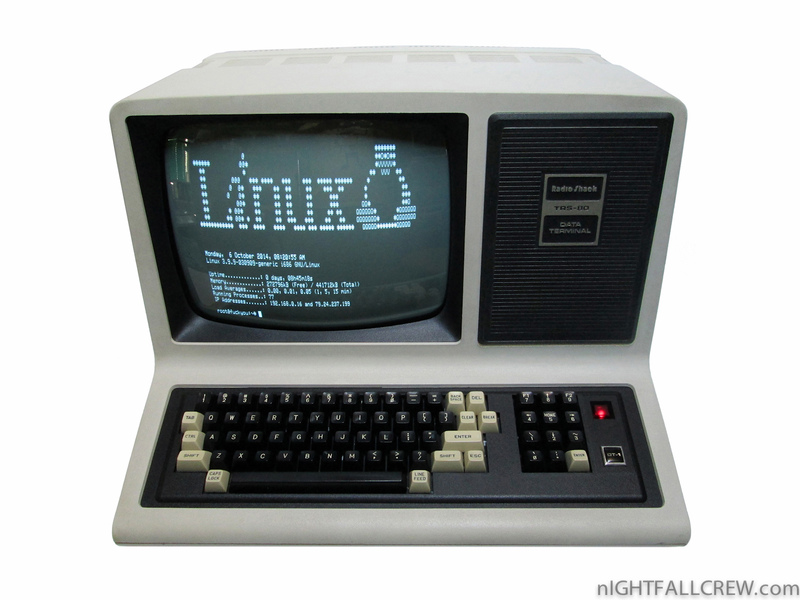 It is ideally suited for communications with the TRS-80 Model 16 Multi-User Office System or with other host computers. 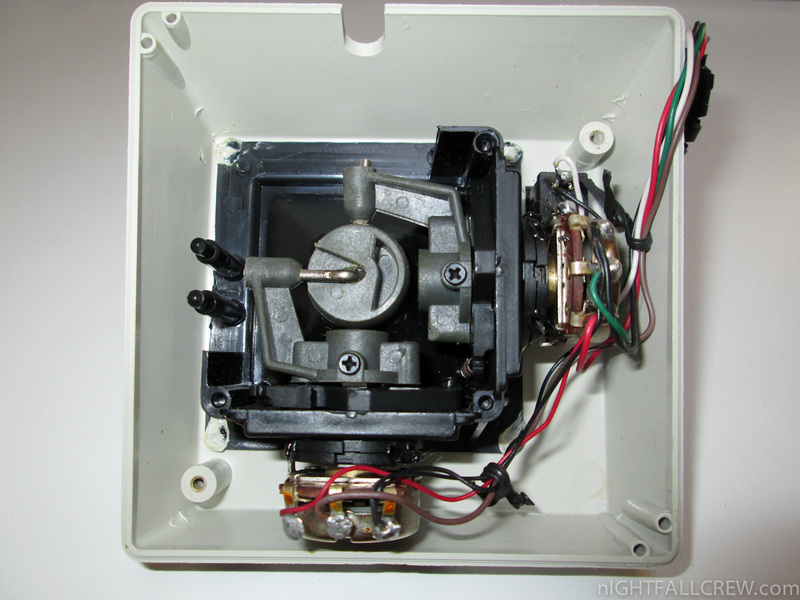 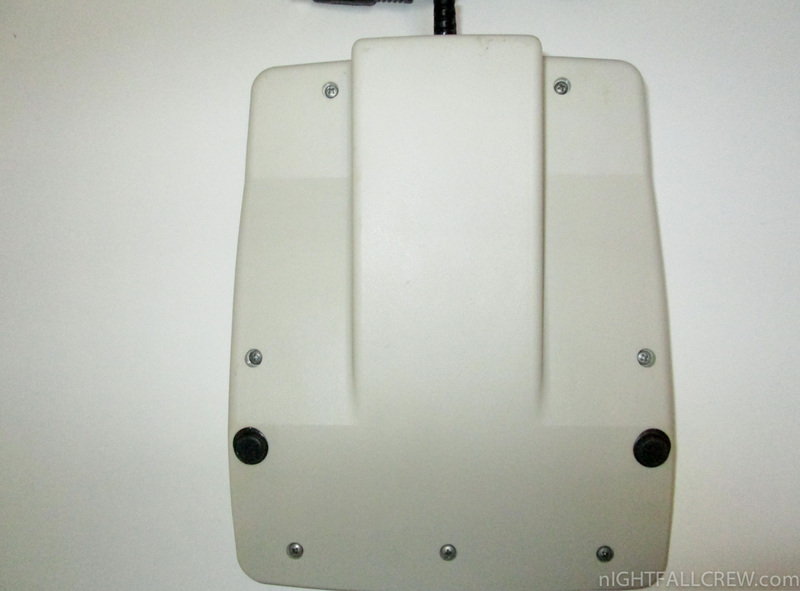 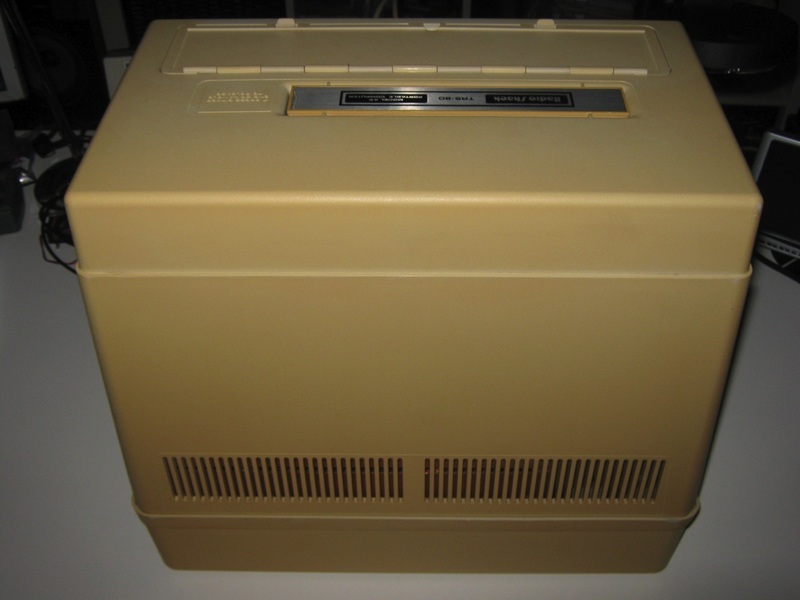 With a low-cost Tandy acoustic coupler it can also access time-sharing information networks. 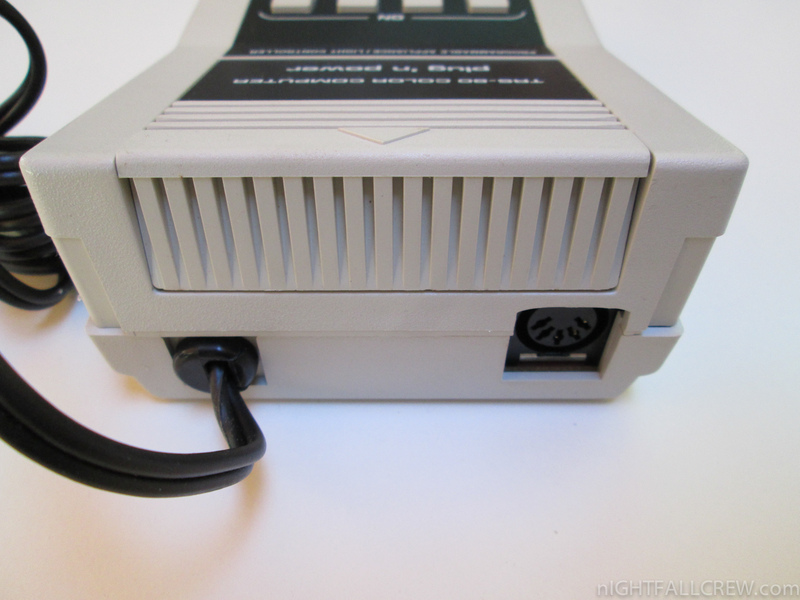 Unlike many terminals, you can easily set up and change the configuration on your DT-1 from the keyboard. 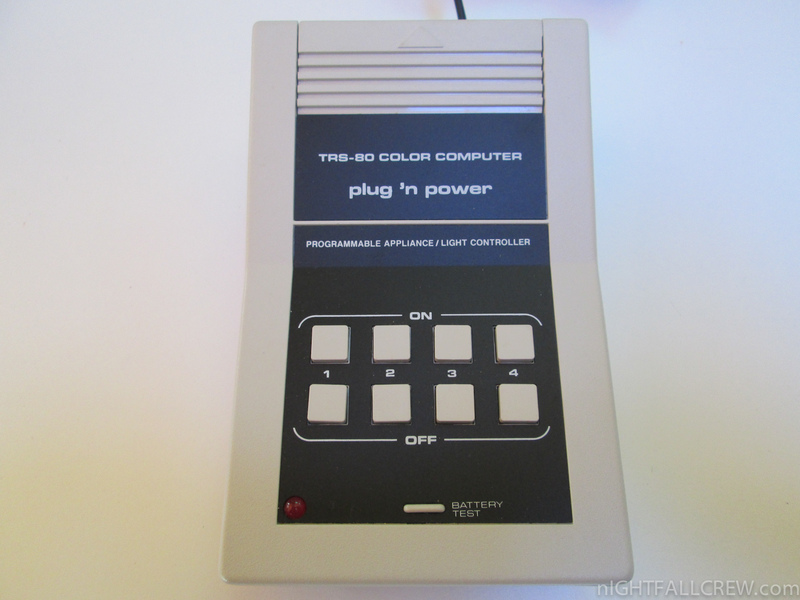 A revolutionary non-volatile memory that retains your terminal configuration even with power off and without battery backup! 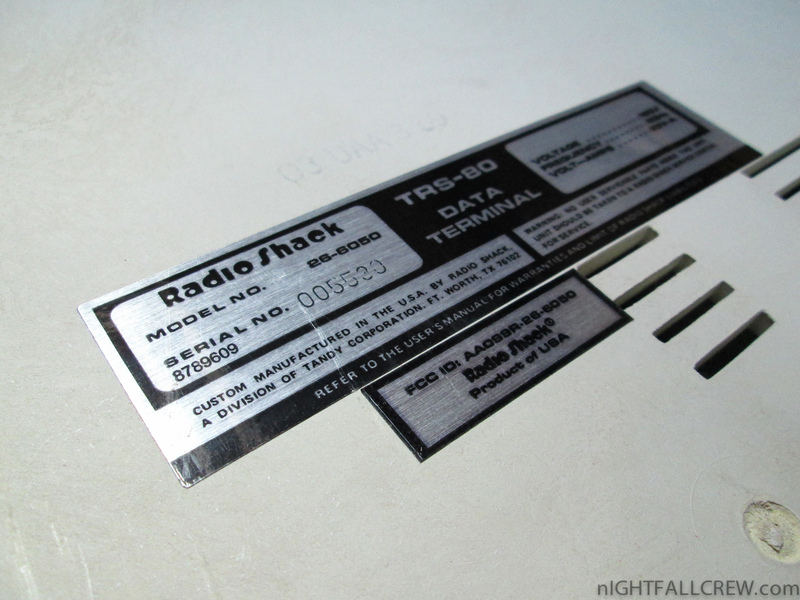 The DT-1 is completely code compatible with four standard terminal protocols. 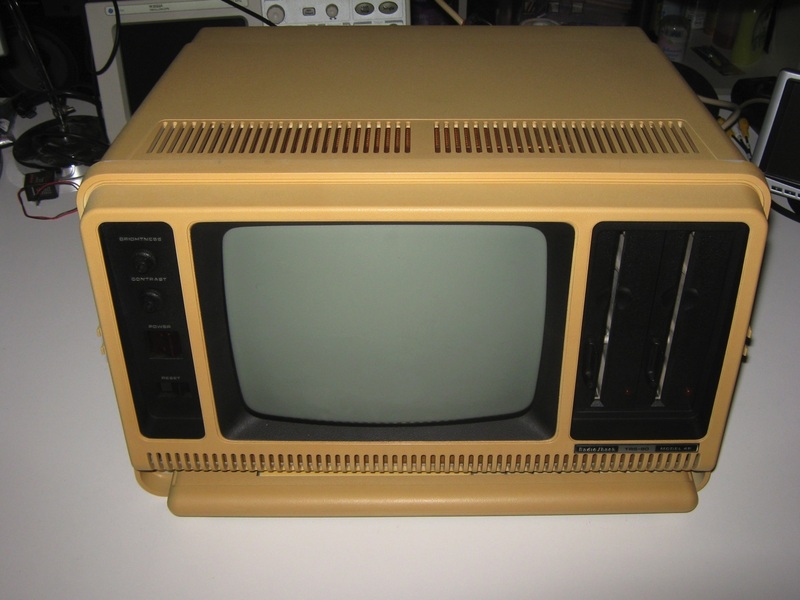 The 30.5 cm diagonal CRT displays 24 lines of 80 upper and lower case characters per line. 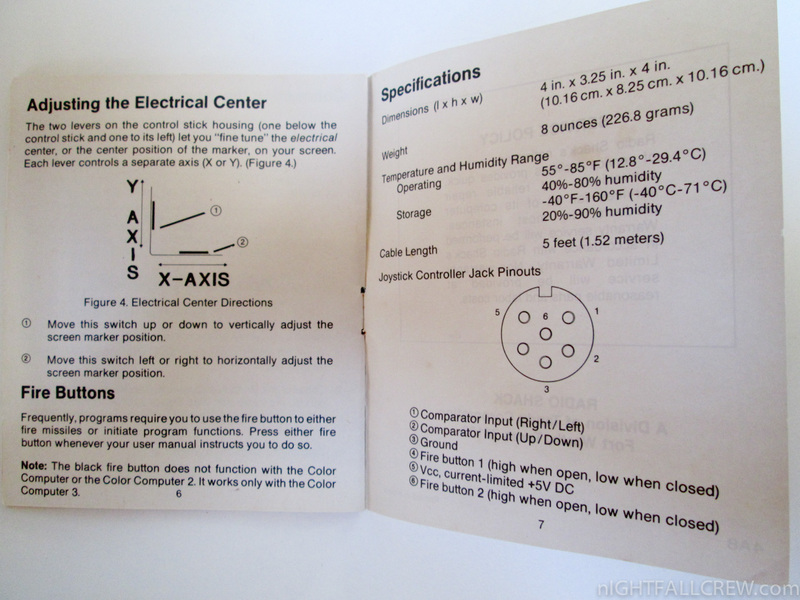 Special single-character symbols are used to display control characters. 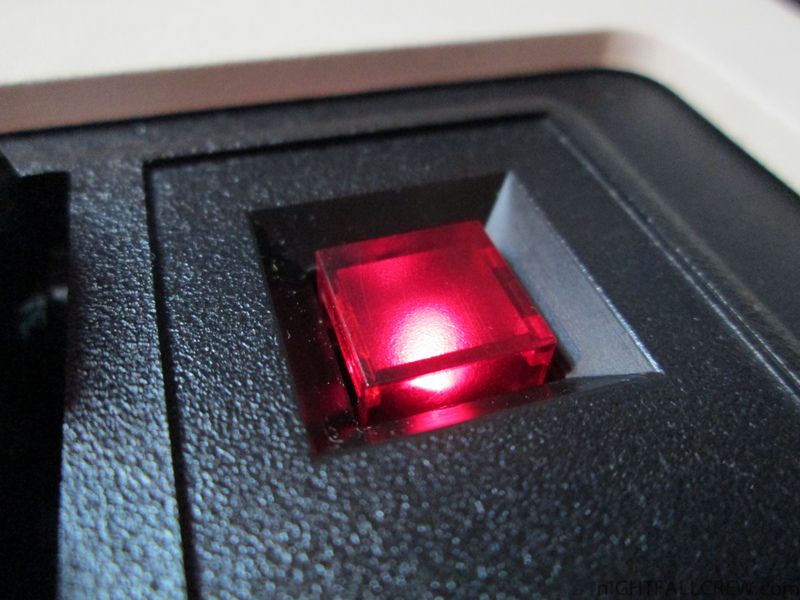 Any character can be repeated by merely holding down the desired key. 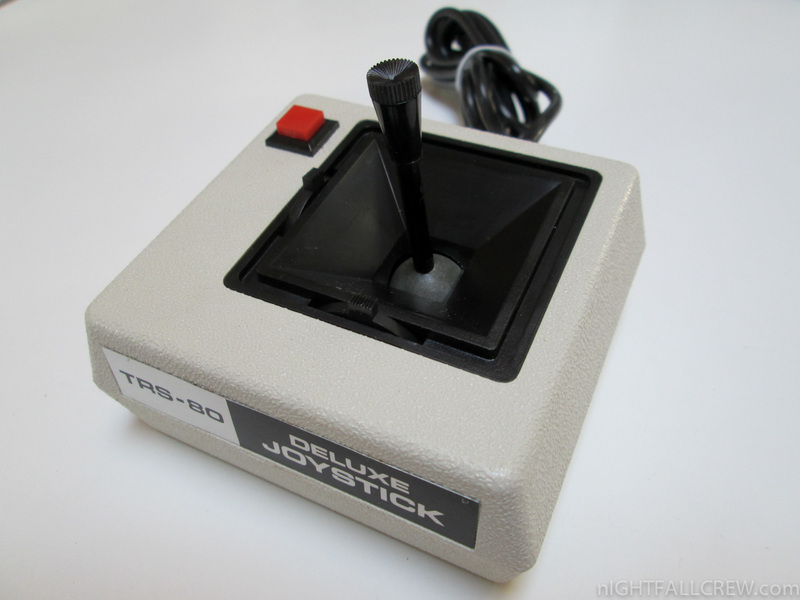 After several characters are repeated, the DT-1 will automatically repeat the characters at a faster rate. 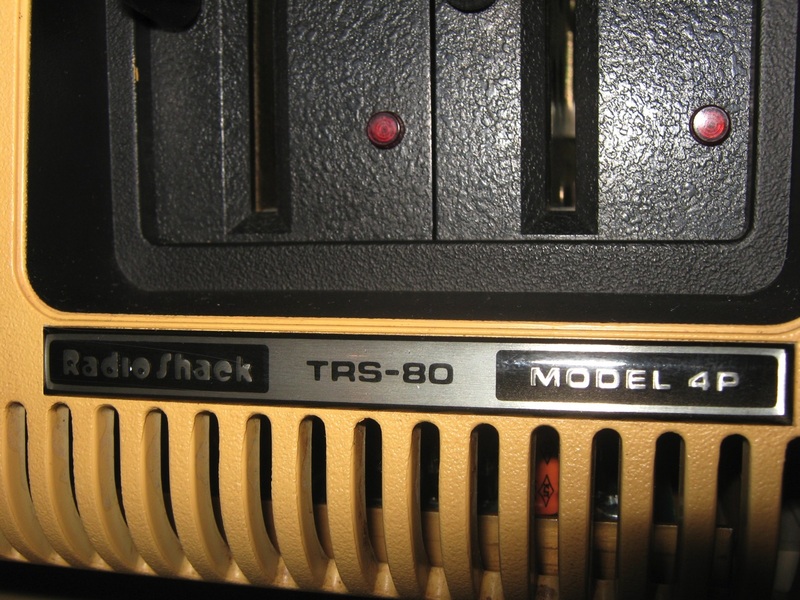 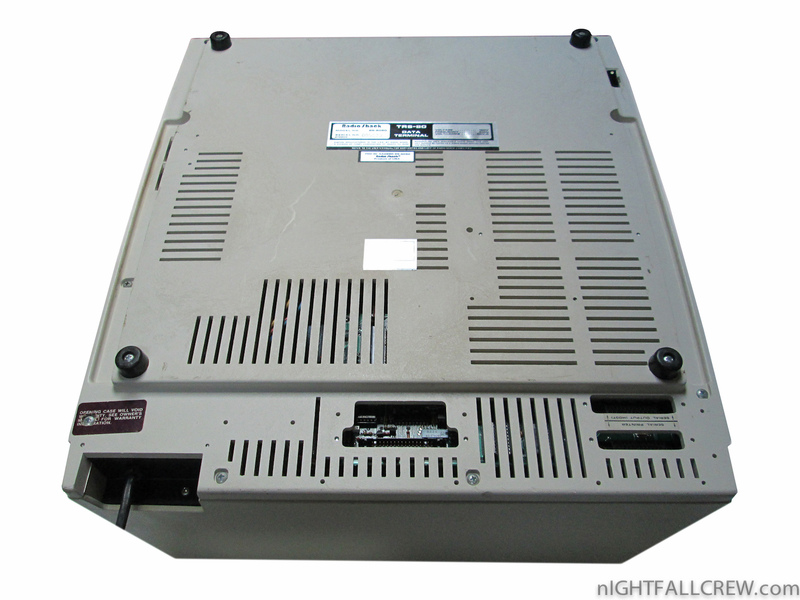 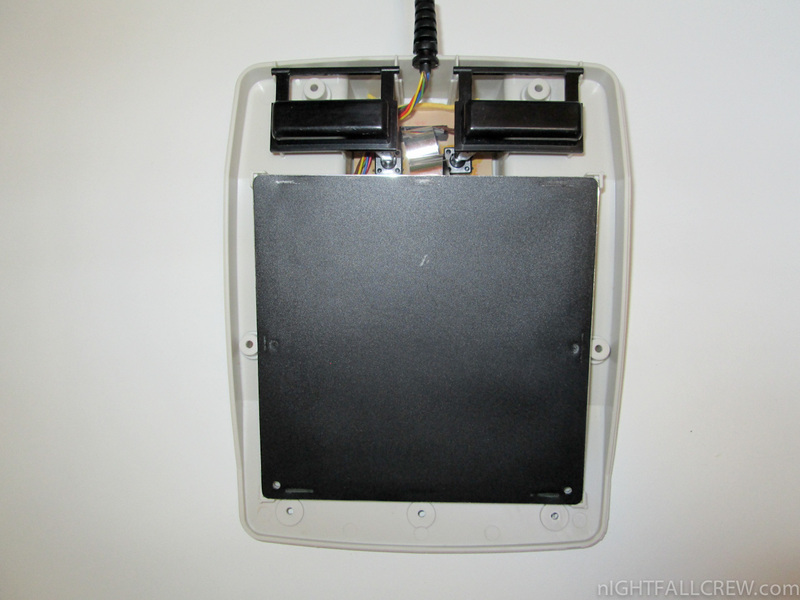 The TRS-80 DT-1 can be equipped for hardcopy output by connecting a printer to the built-in RS-232C serial interface or parallel interface. 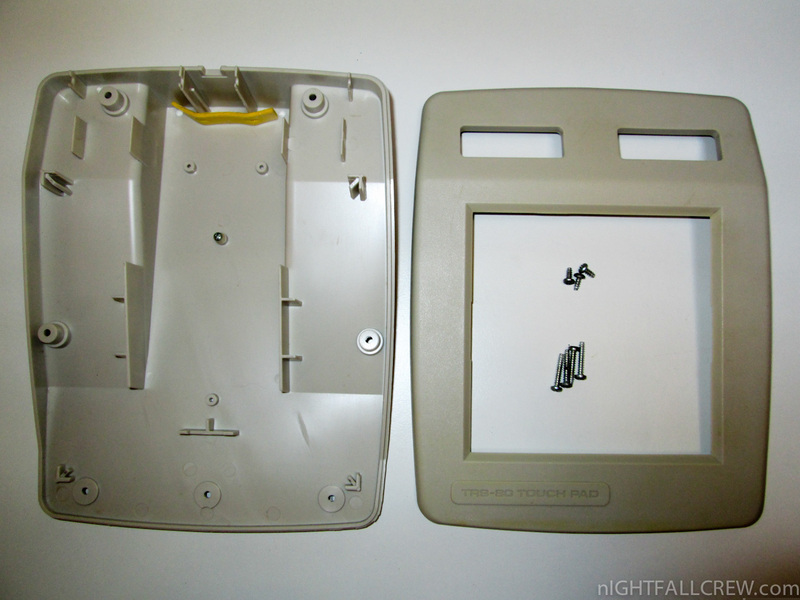 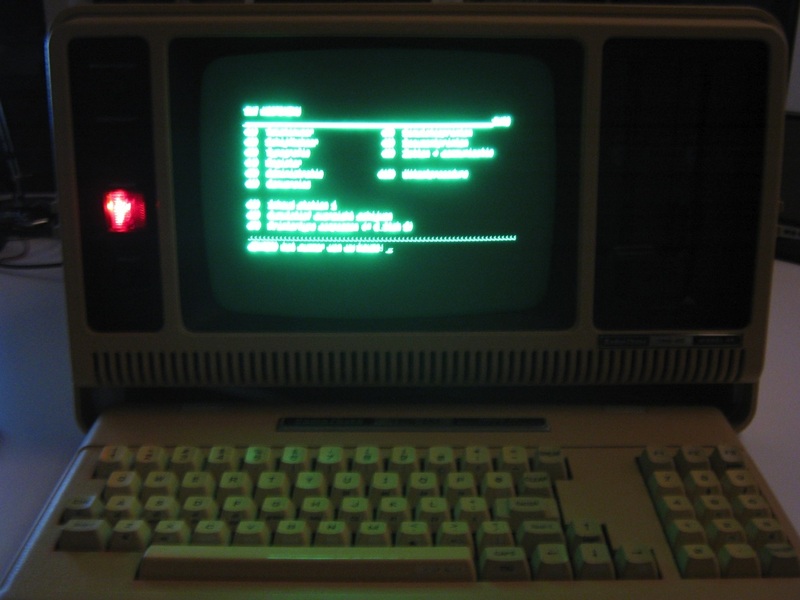 A local monitor mode lets you enable printer ports and position the cursor using local control and escape modes. 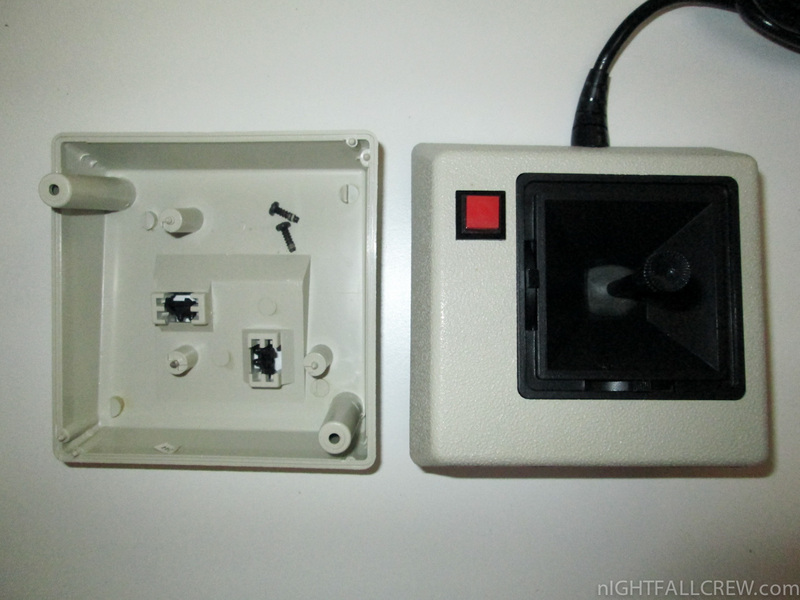 The carrige return key can be programmed with or without a line feed. 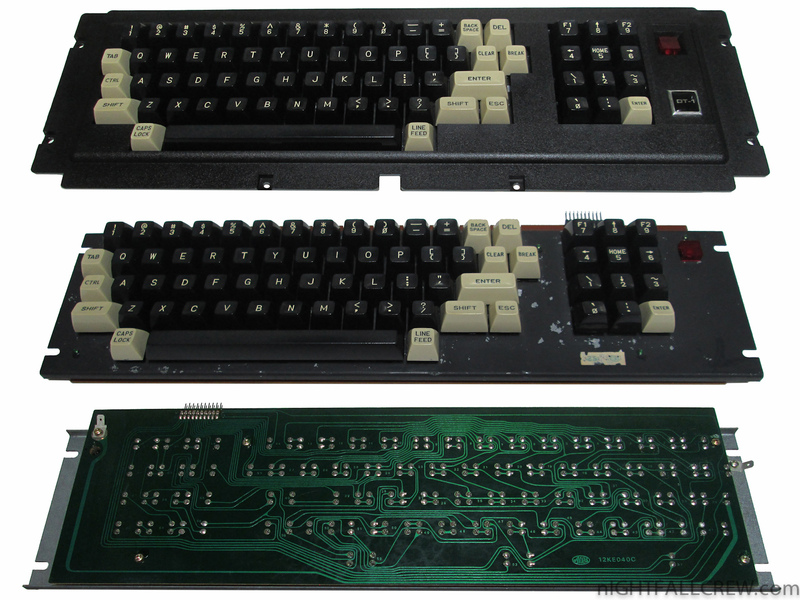 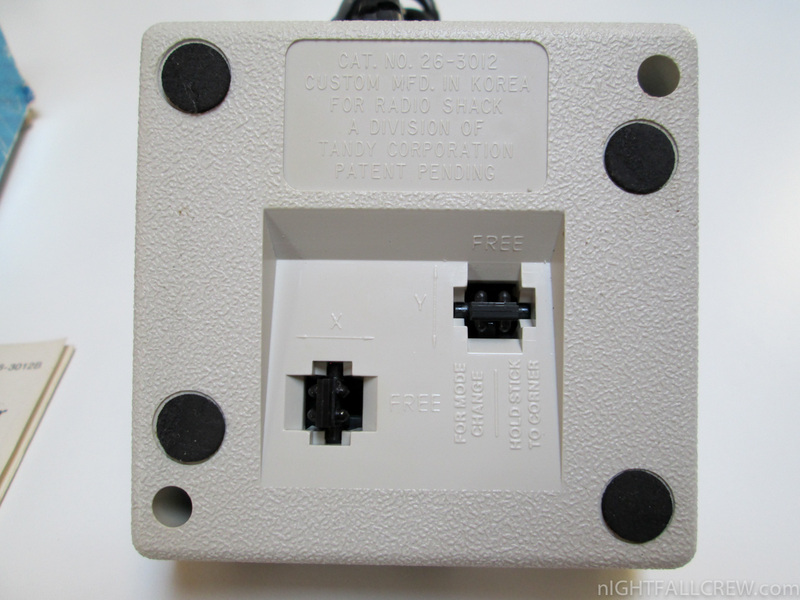 Control key termination codes are also user programmable. 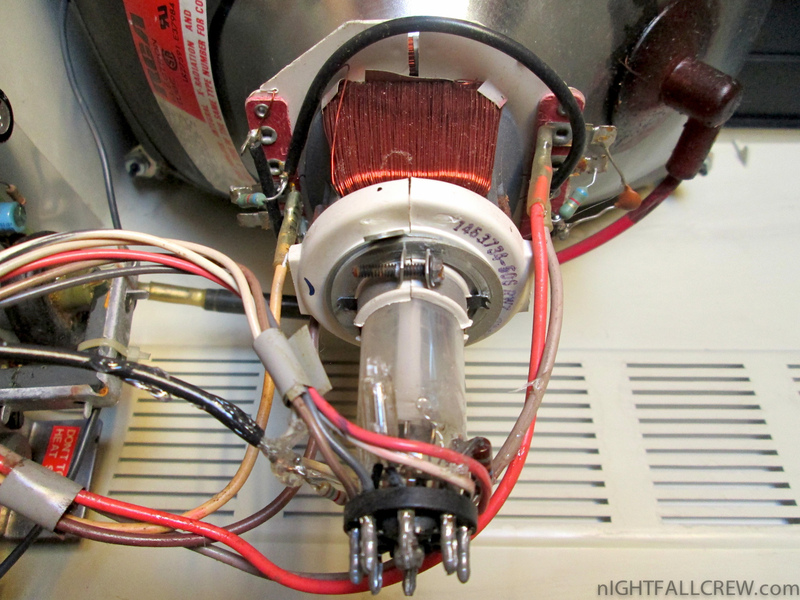 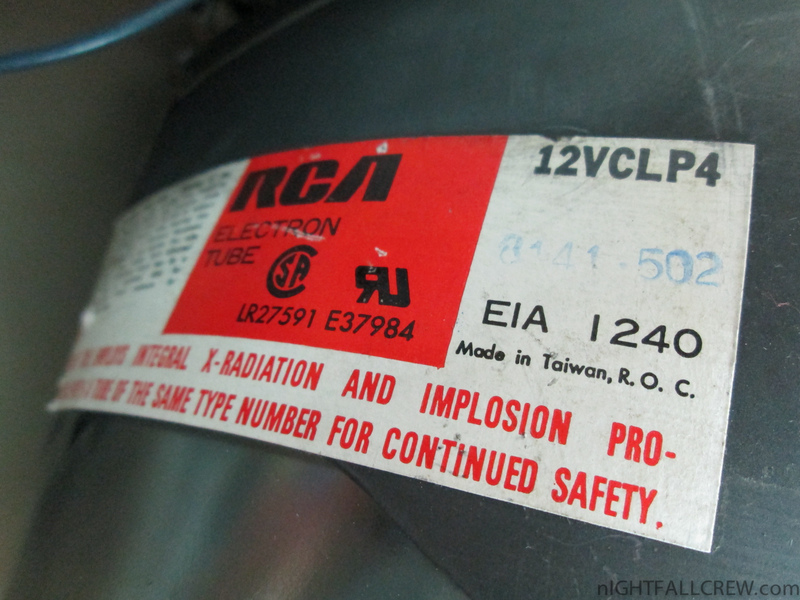 An electronic bell is standard. 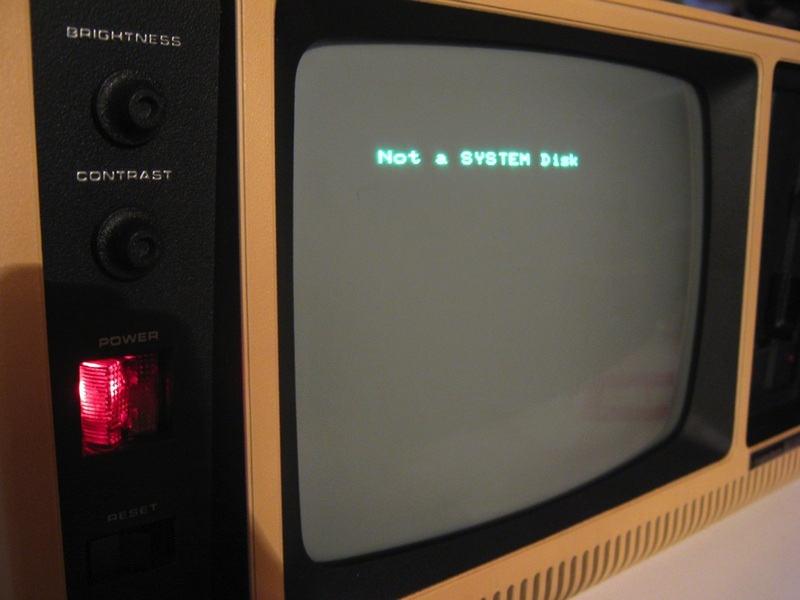 Cursor: Four keyboard-selectable types: Steady, Blinking Block, Steady or Blinking Underline. 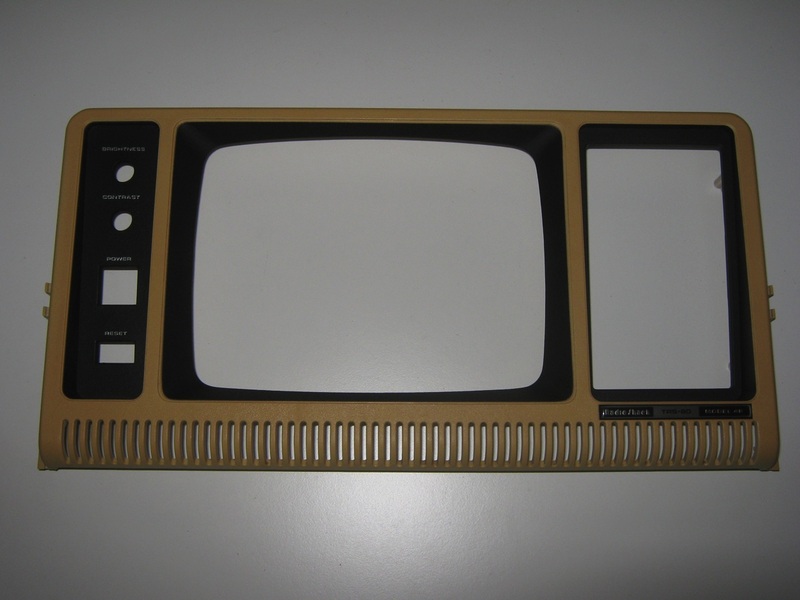 Video Attributes: Normal, reverse, Invisible, Blink, Underline and Half-Intensity Video. 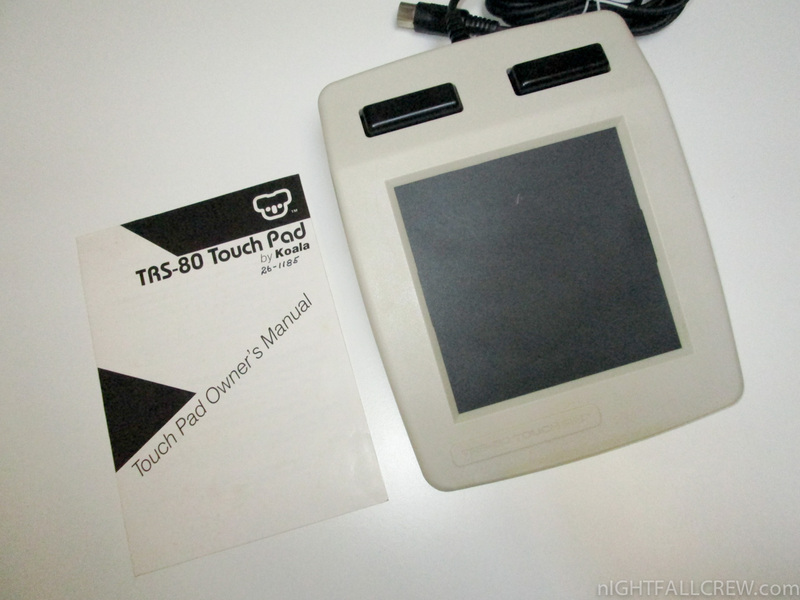 Thanks to Paolo Cognetti for giving me this device in good conditions. 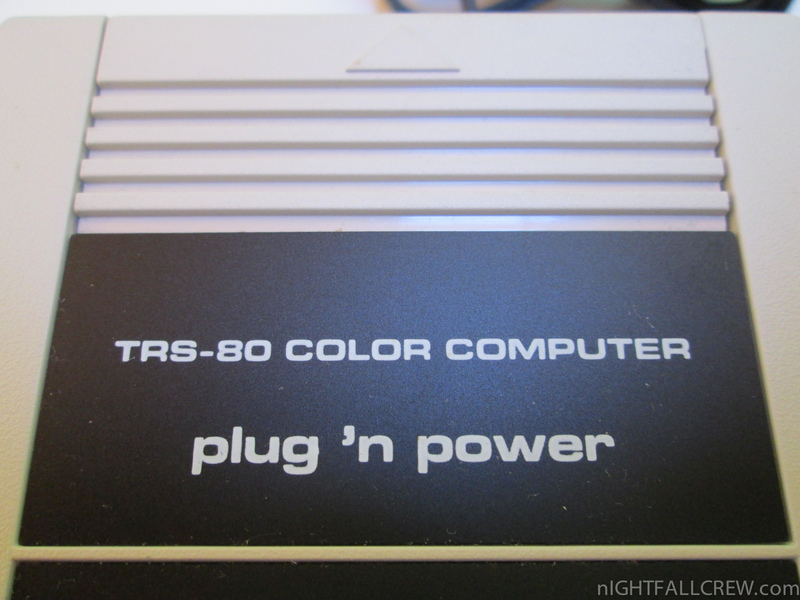 Plug ‘n Power Programmable Appliance/Light Controller it’s an old device for the TRS-80 Color Computer for home automation. 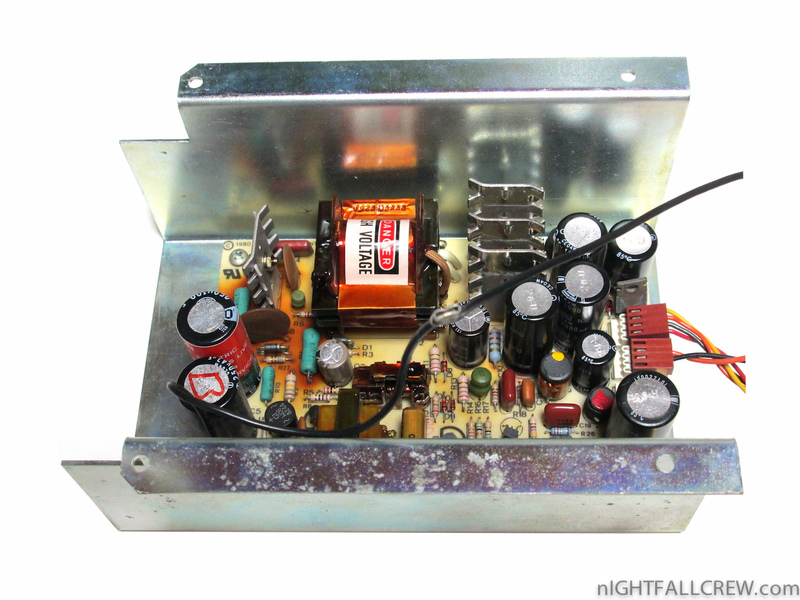 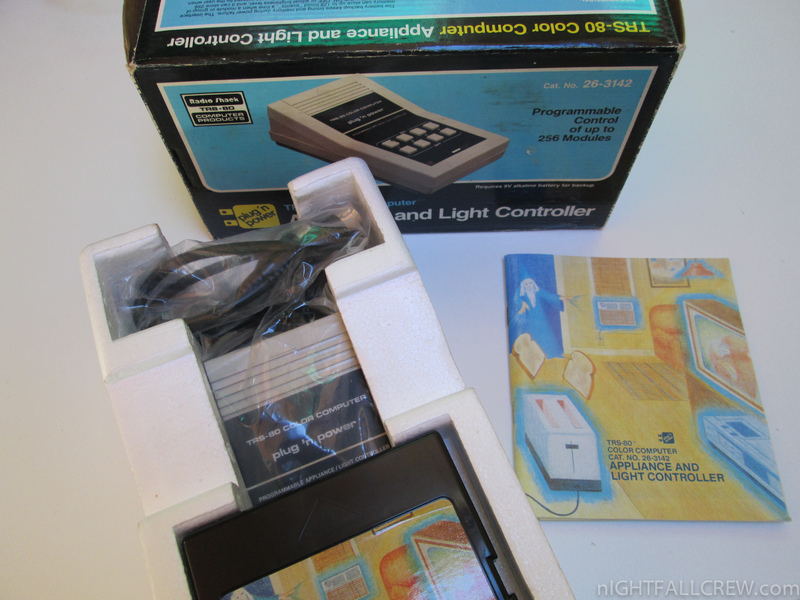 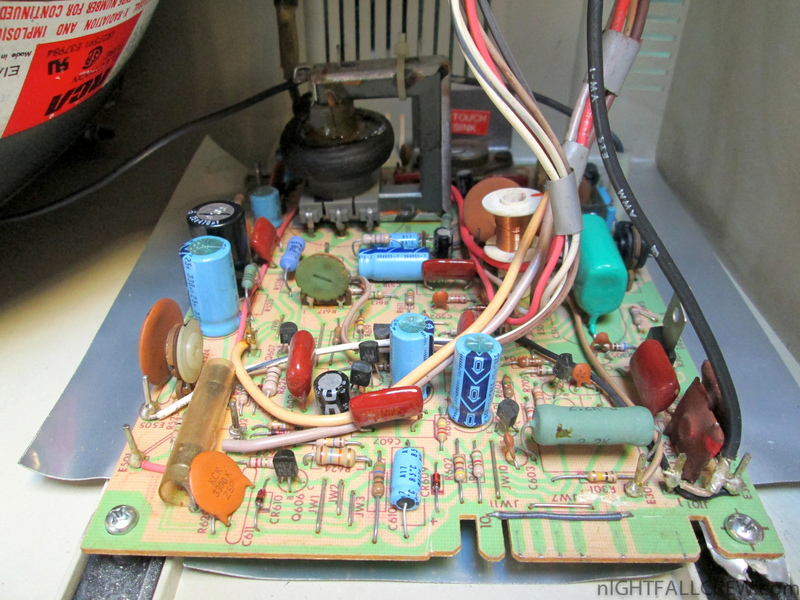 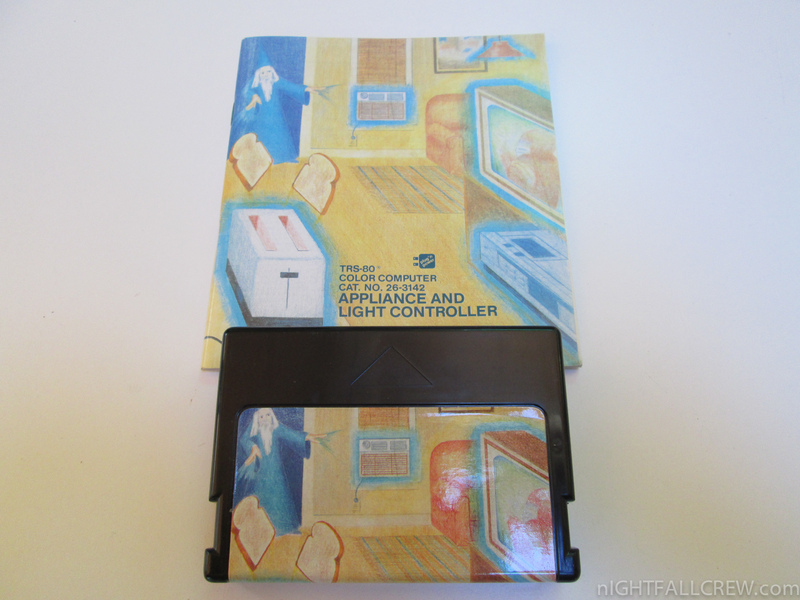 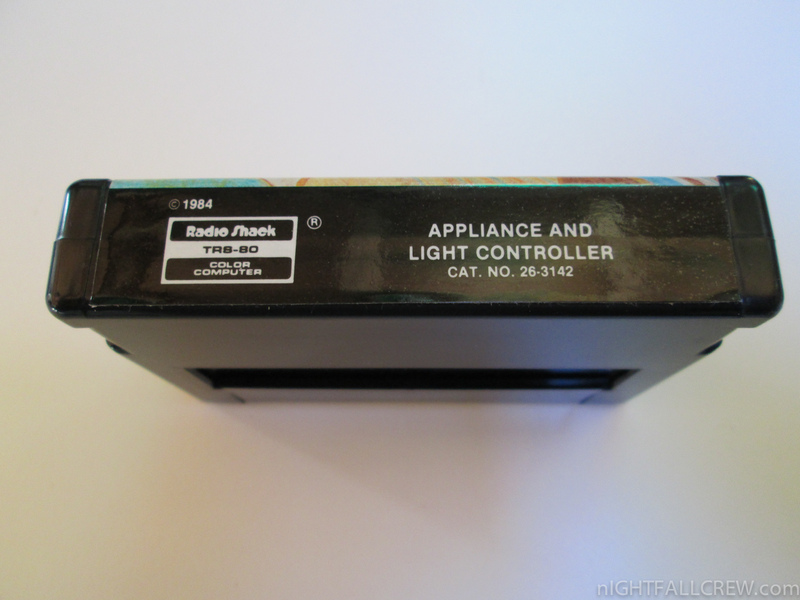 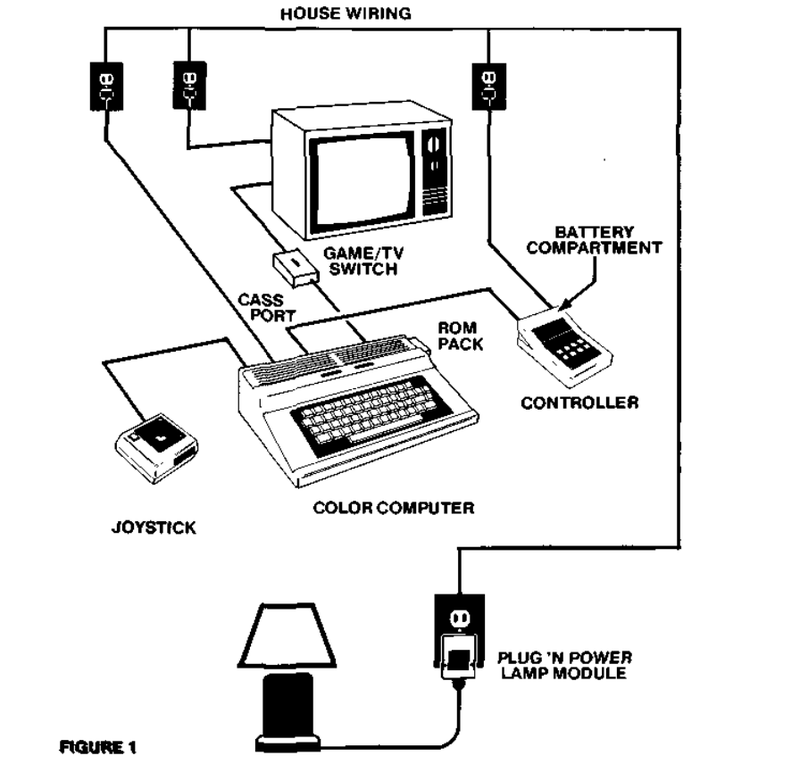 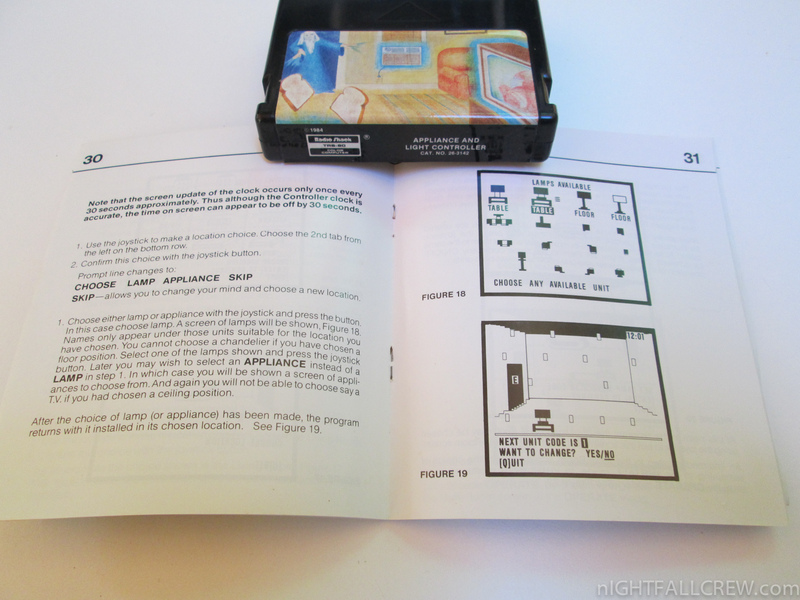 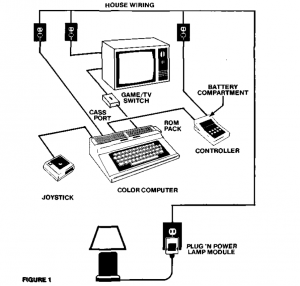 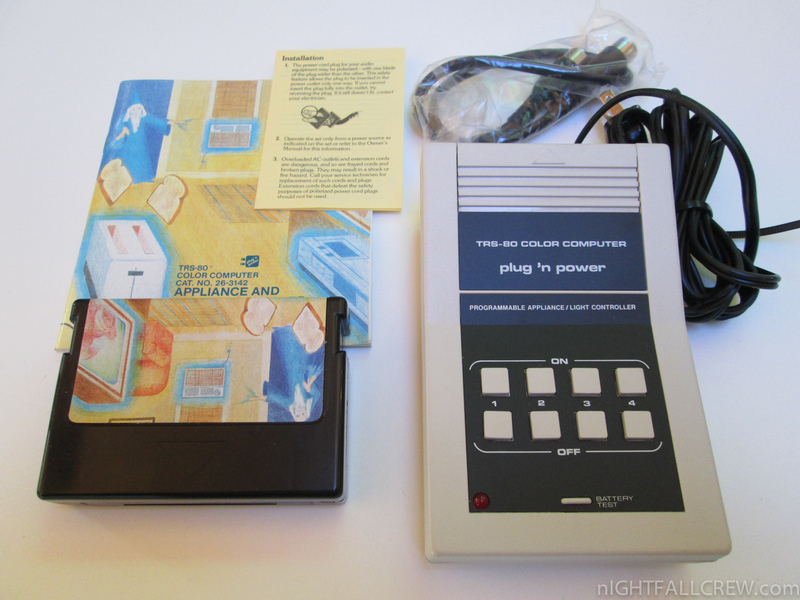 Object consists of Plug ‘n Power, Appliance and Light Controller, two cords, a manual, and battery test card. 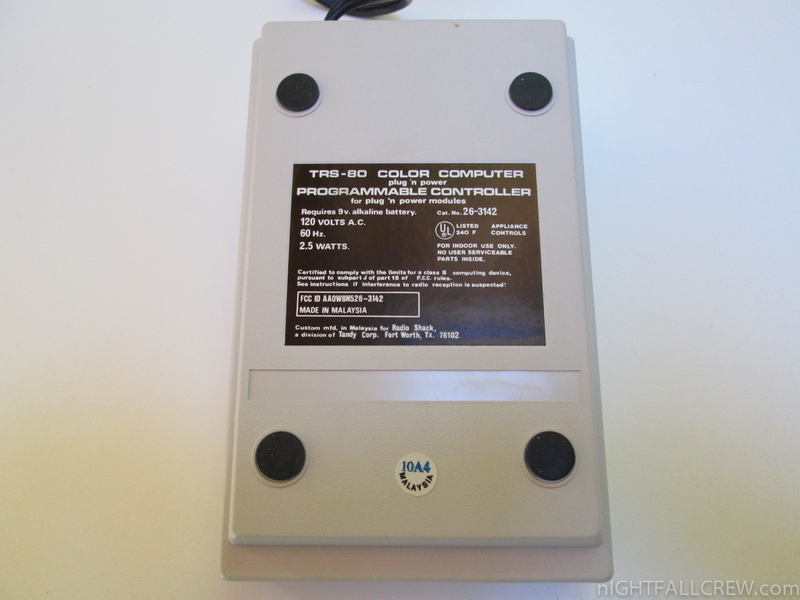 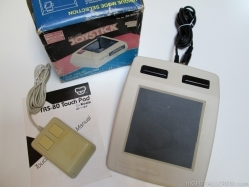 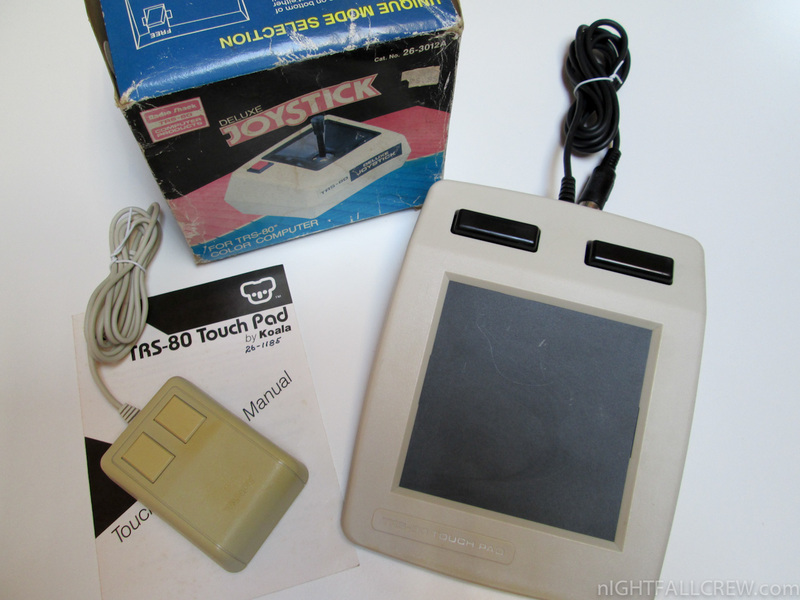 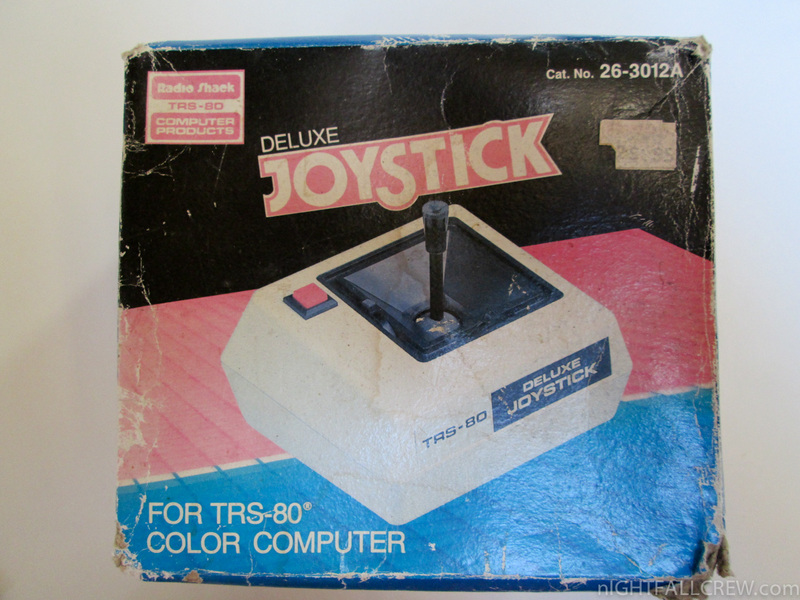 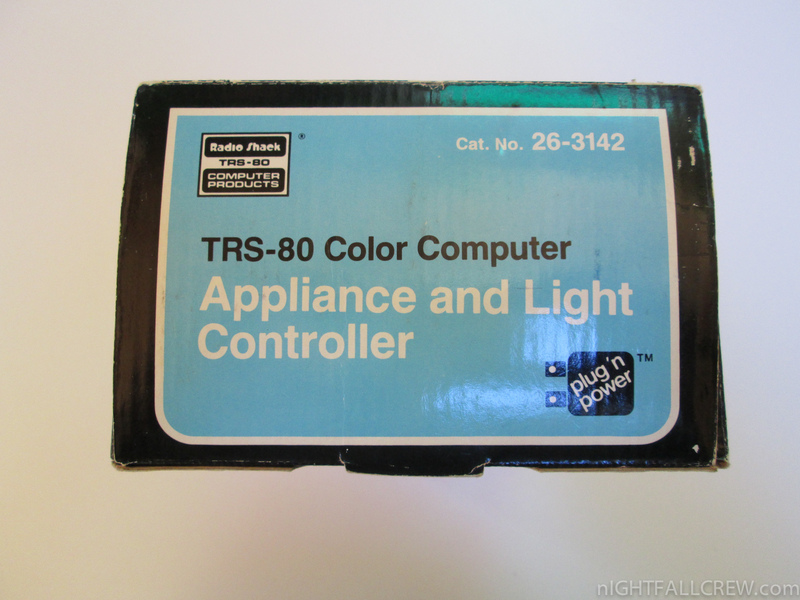 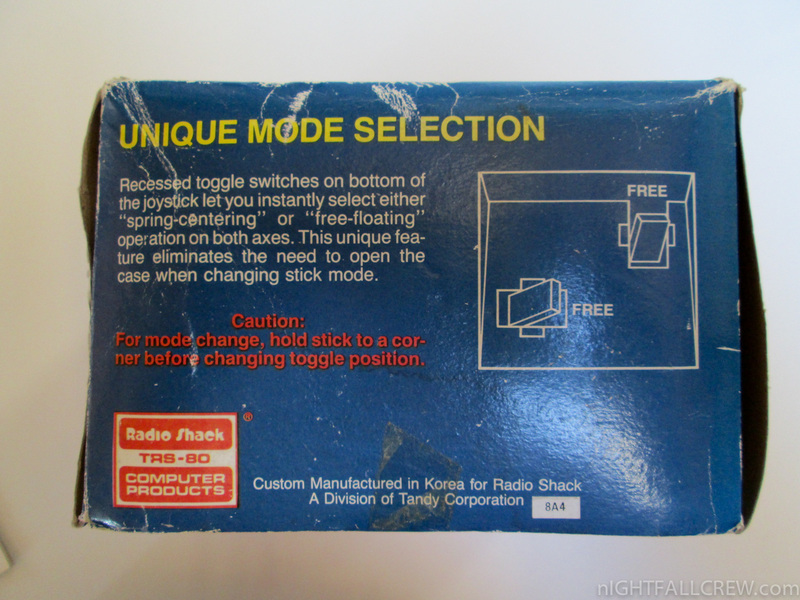 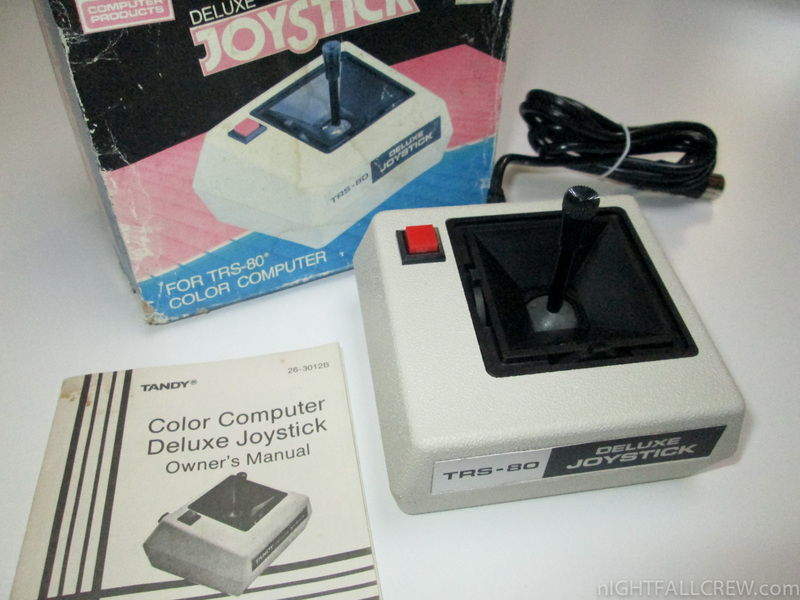 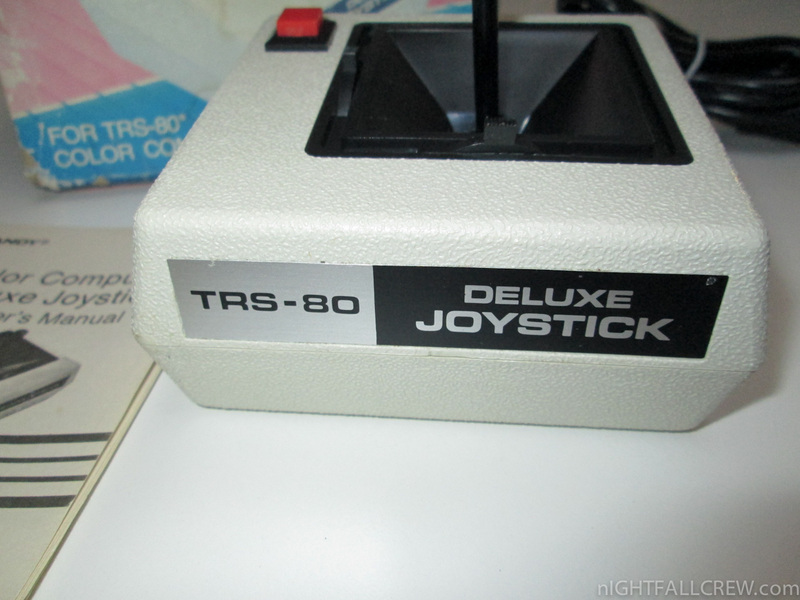 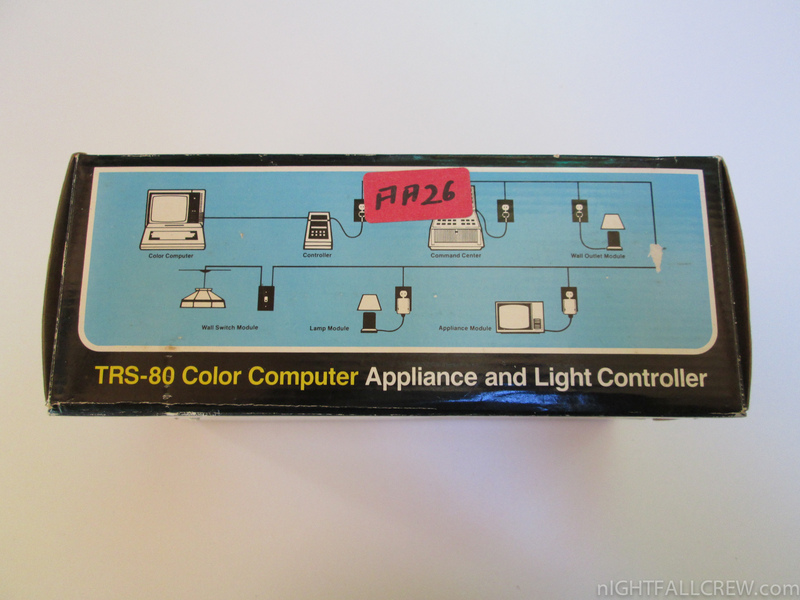 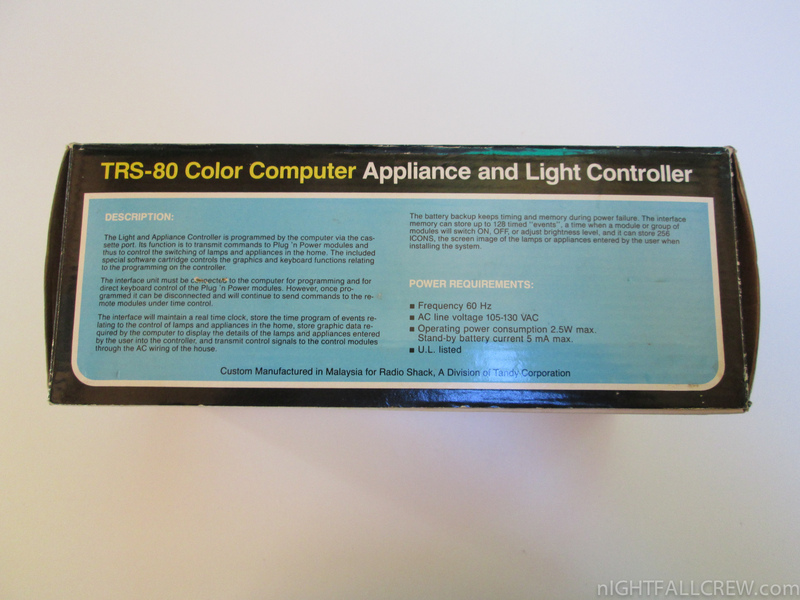 Some accessories for the Home Computer TRS-80 Color from Radio Shack. 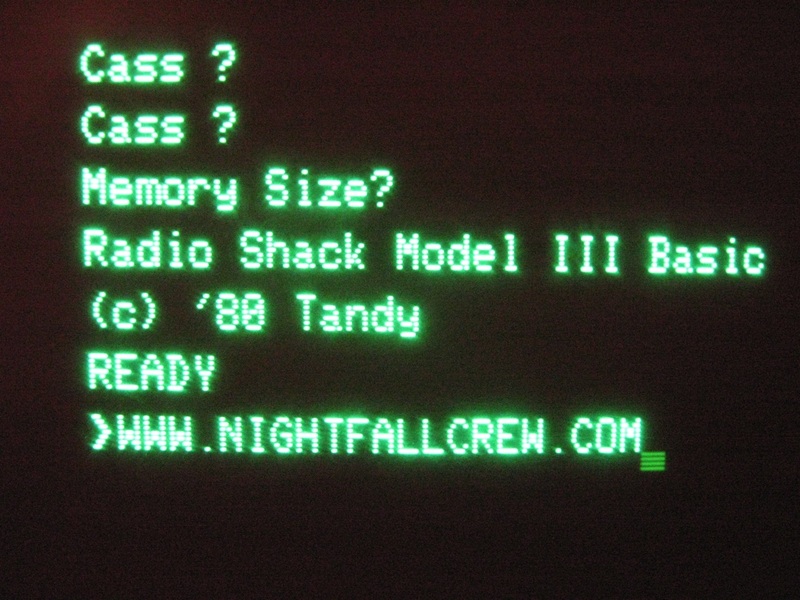 In this rainy day i have decided to commit myself to create a boot floppy disk for my Tandy Radio Shack TRS-80 Model 4P. 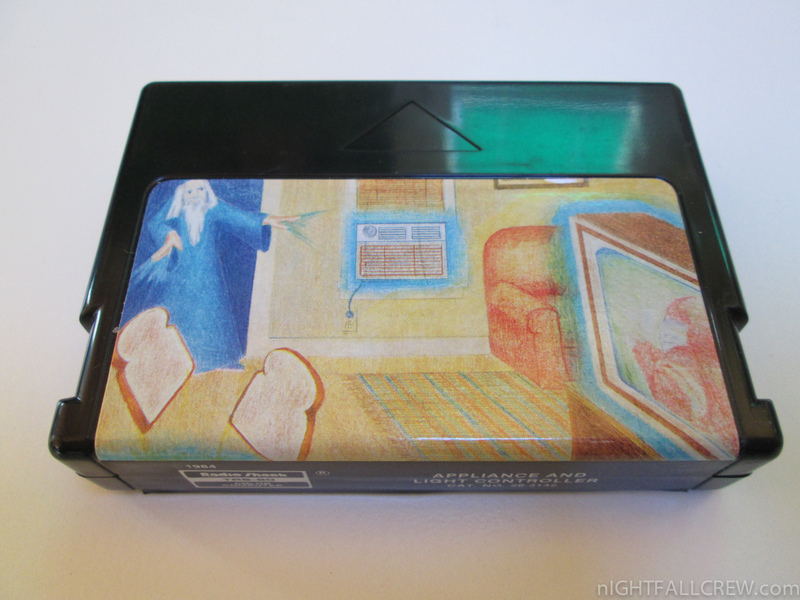 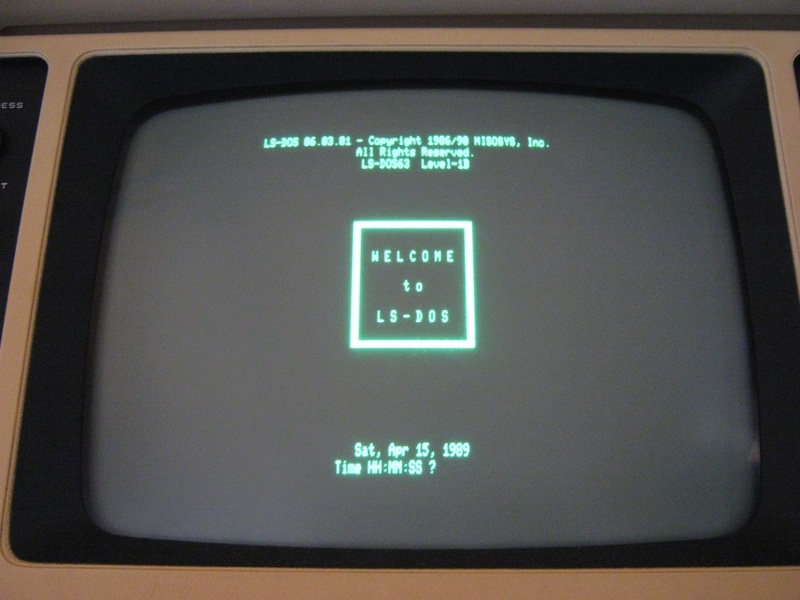 Download LS-DOS or TRSDos (DMK version) floppy image from here , now you need to use the DMK2IMD program, a tool inside the package ImageDisk to convert the DMK floppy image to IMD (ImageDisk), then … burn it with ImageDisk. 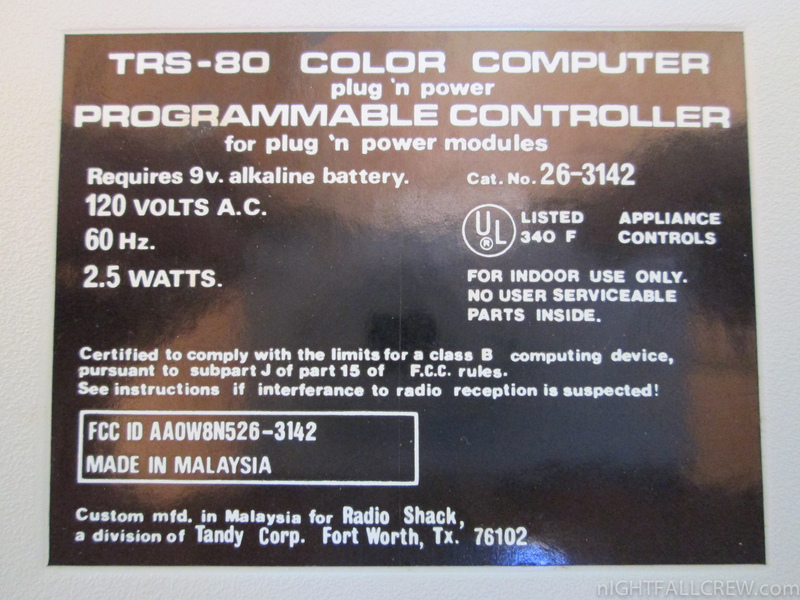 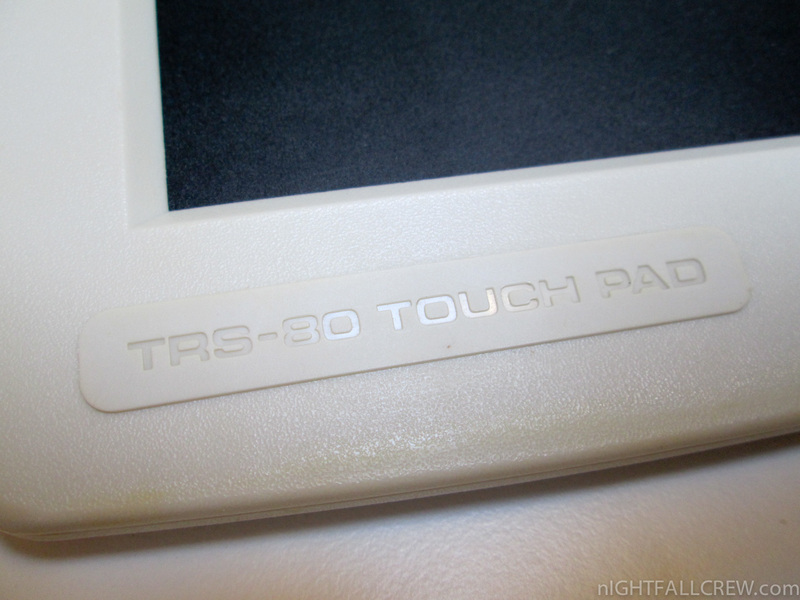 TRS-80 was Tandy Corporation’s desktop microcomputer model line, sold through Tandy’s Radio Shack stores in the late 1970s and early 1980s. 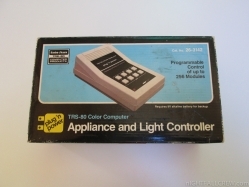 The first units, ordered unseen, were delivered in November 1977, and rolled out to the stores the third week of December. The line won popularity with hobbyists, home users, and small-businesses. 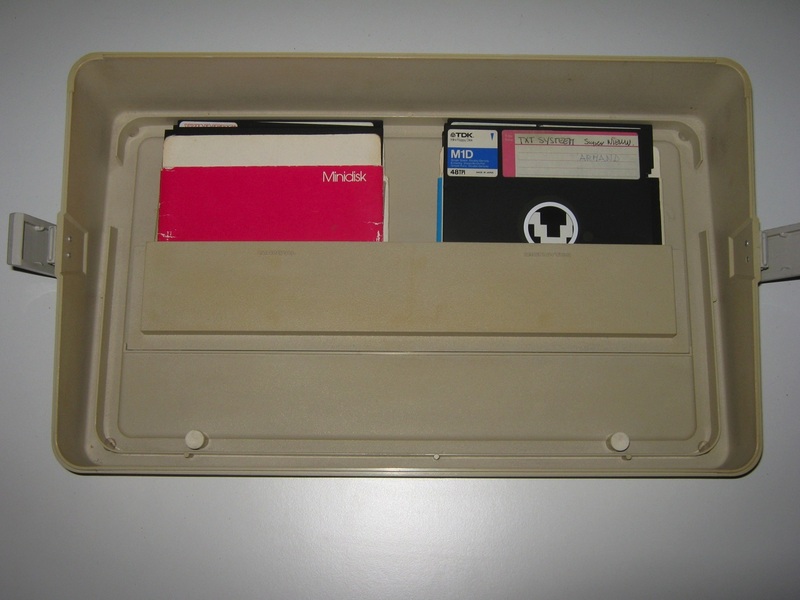 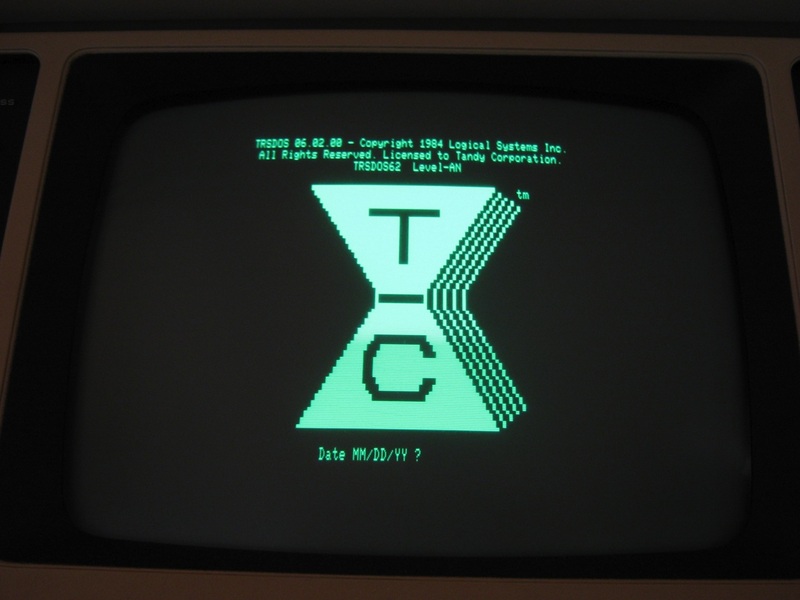 Tandy Corporation’s leading position in what Byte Magazine called the “1977 Trinity” (Apple, Commodore and Tandy) had much to do with Tandy’s retailing the computer through more than 3000 of its Radio Shack (Tandy in Europe) storefronts. 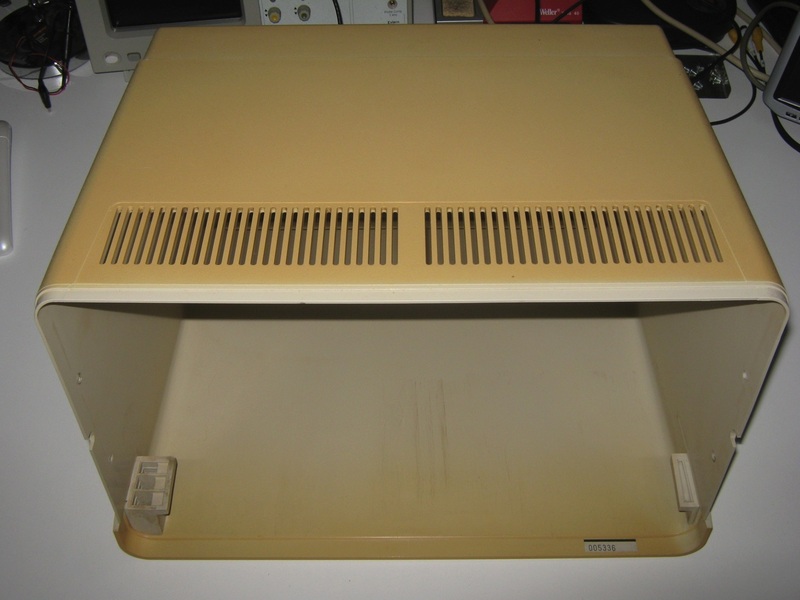 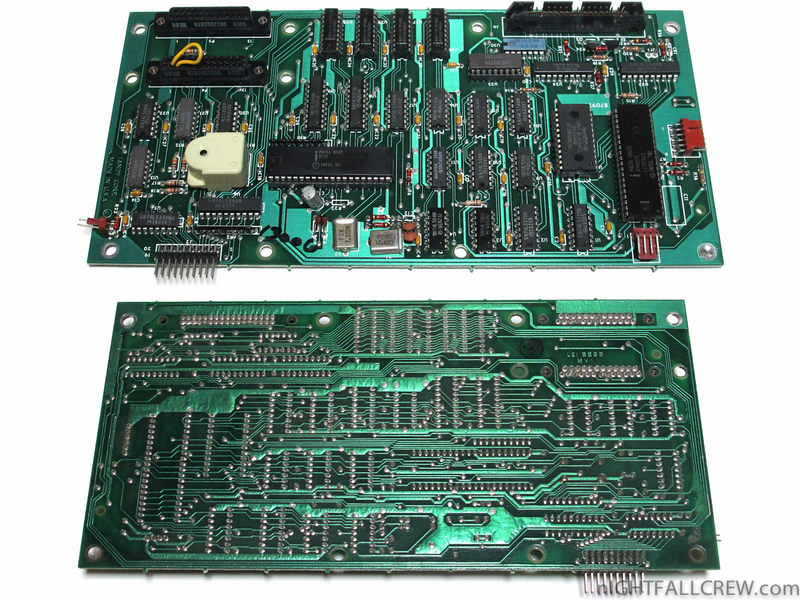 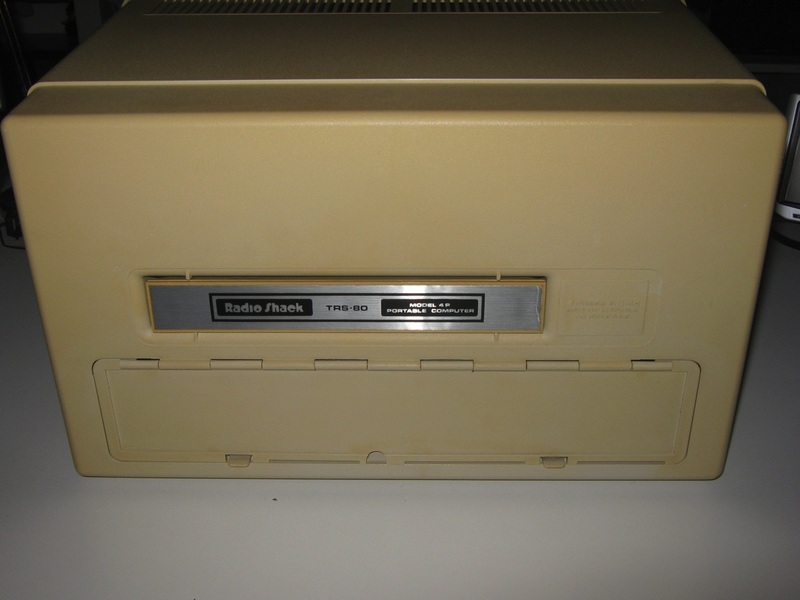 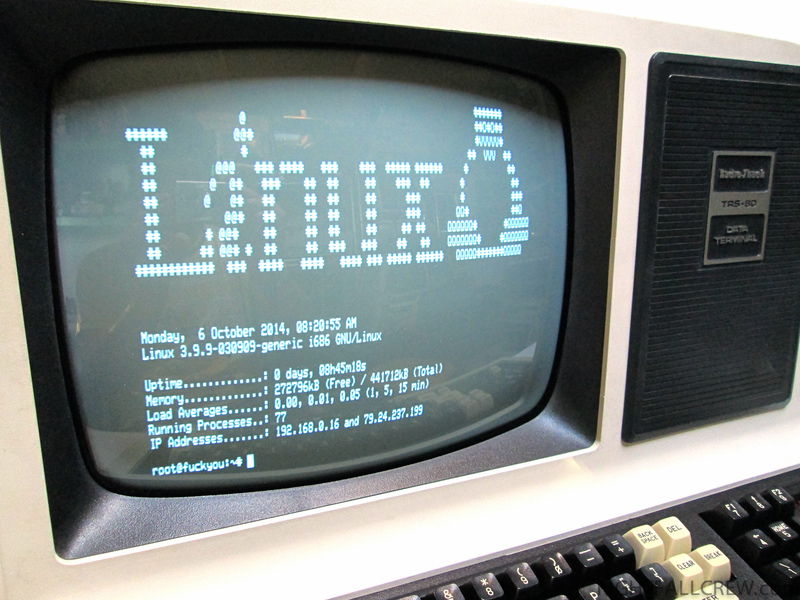 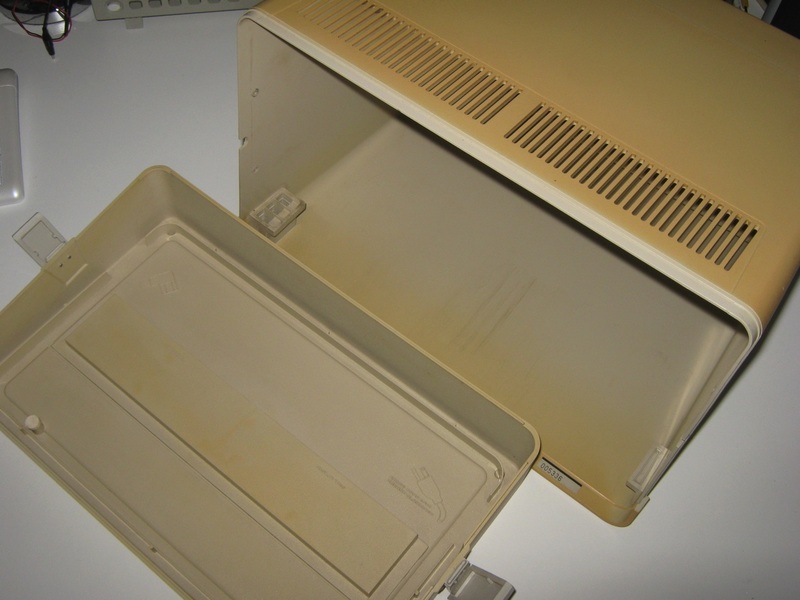 The Model 4 shipped with TRSDOS 6, an enhanced version of LDOS by Logical Systems and a vastly superior operating system to Tandy’s earlier TRSDOS offerings. 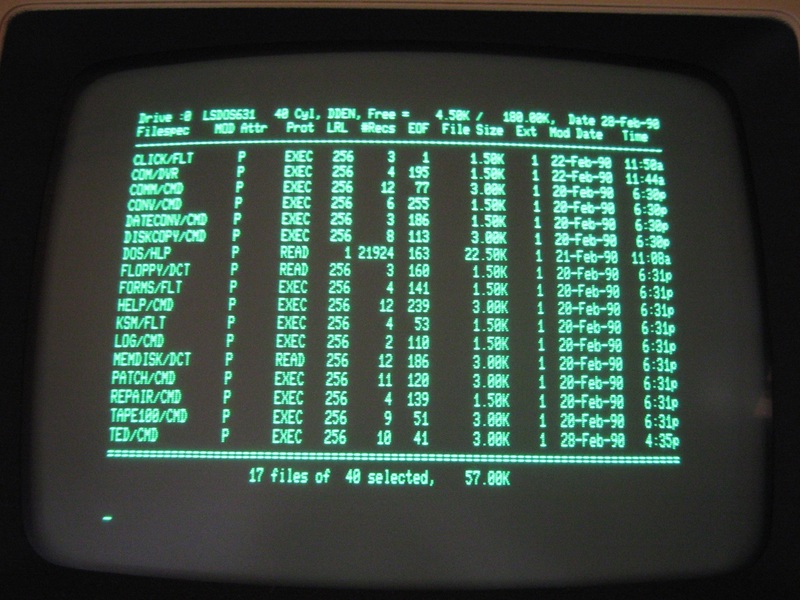 When the Model 4 booted into TRSDOS 6 the video display switched into 80×24 mode and the entire 64KB address space was mapped as RAM. 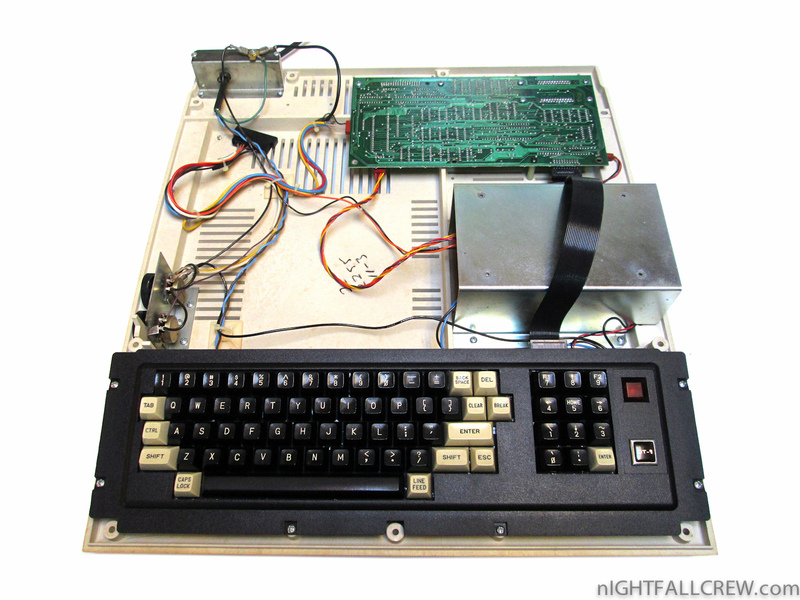 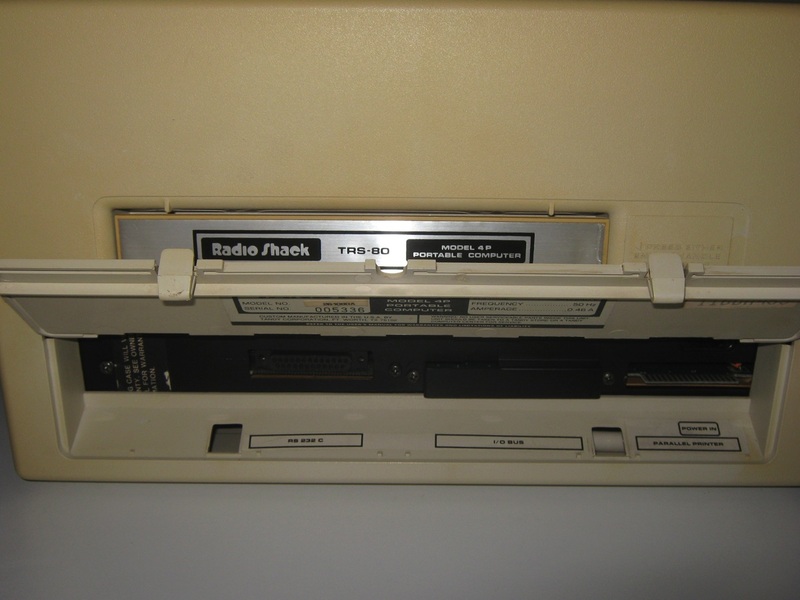 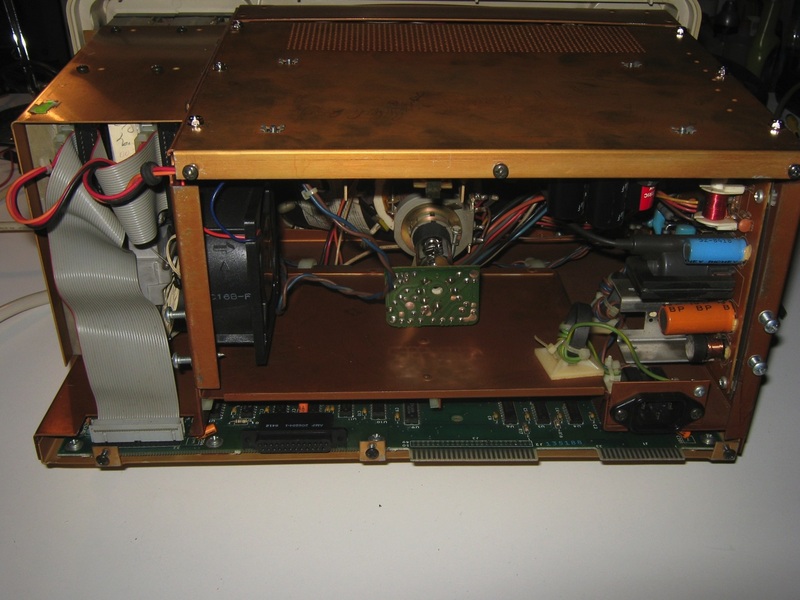 The Model 4 was also capable of running all Model 3 software when a Model 3 operating system disk was detected and loaded during bootup with a 64×16 video mode and Model 3 ROMs mapped from address zero. 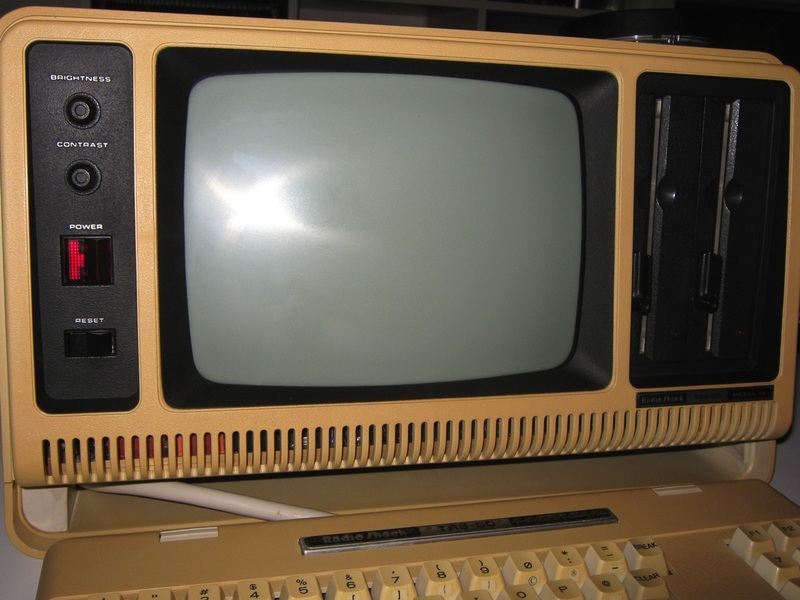 The Model 4 also had the ability to display 640×240 or 512×192 high-resolution monochrome graphics with an optional board. 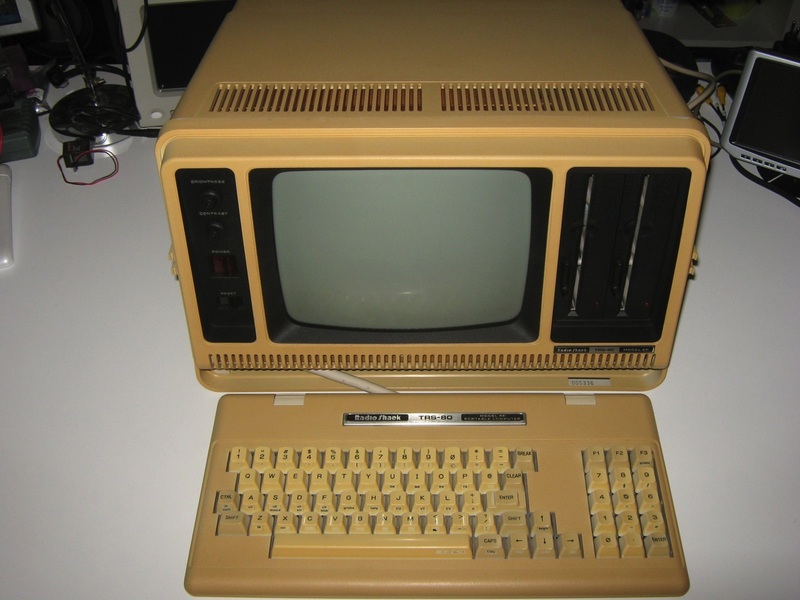 A “luggable” version known as the Model 4P (1983) was a self-contained unit with a case design similar to that of a portable sewing machine.